In order to provide a complete service in an environment that demands the highest standards of precision, our group can call on its skills and expertise in machining, finishing, super-finishing and assembly. Our equipment is used to its full potential by our experienced employees who have been passing on their know-how to one another for generations. Dimensional and geometric precision are combined with our strong command of surface conditions. We can call on our panel of suppliers, who, working as our genuine partners, have developed relations to optimise the cost, quality and time criteria that we have to meet day after day. Our teams are capable of programming our robots themselves, thanks to our background in the construction of machine tools. They can find the right ergonomic solutions to configure the environments adjacent to our activities, such as automated loading-unloading, washing, inspections, special machines, etc. And all this will be deployed to meet your specifications, in an environment that meets the most stringent demands for cleanness. Our measurement and environmental machines are equipped for this purpose. Our range of equipment covers the entire production process, from the blank to the the finished product, using bars or slugs, and from diameters of 10 mm to 200 mm. 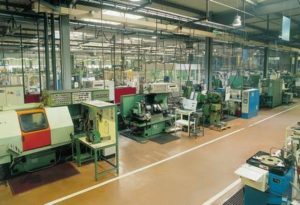 Grinding of interior and/or exterior diameters with a fleet of about 70 machines. Honing of surfaces or interior diameters with a fleet of about 25 machines. 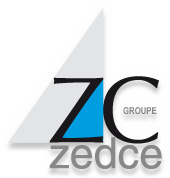 The Zedce Group is on hand to help you find the right solutions and to deploy your specifications. The Zedce Group has its own tribofinishing, polishing and brushing workshops, using stone and band techniques. These techniques are often used in market sectors such as hydraulics, turbos, injection, etc. Our selection of about 15 machines, which are incorporated in our own manufacturing procedures or are used to complete our service offering, can be used to finish your products by working on criteria such as roughness and appearance.